Minimalism, essential nature, elegance and quality are the distinctive points of all the Alessi products, including the Human Collection salad bowl. Founded in 1921, Alessi has always been known as the maker of top-quality products, and immediately acknowledged the importance of working with designers from all over the world. From this partnership, many products for the home and kitchen were born, all equipped with several features including innovation, cutting-edge design, functionality, practicality, quality and a strong aesthetic sense. With the passage of time, the Italian company has realized the importance of evolving in order to create products that are more and more innovative, versatile and able to meet the ever-changing needs of its customers. Although open to development, to innovation and to change, Alessi stays true to its tradition, based on craftsmanship. Still, it accompanies the processing through the use of industrial machinery, and because of this, the products are a mixture of art and industry. 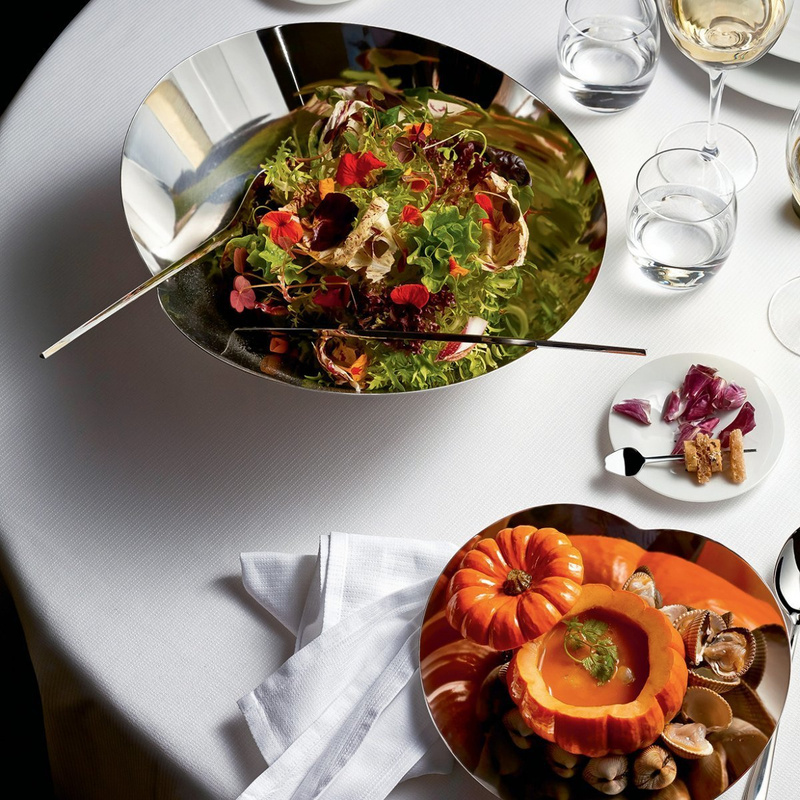 Among the many items designed and produced by Alessi, is the Human Collection salad bowl. 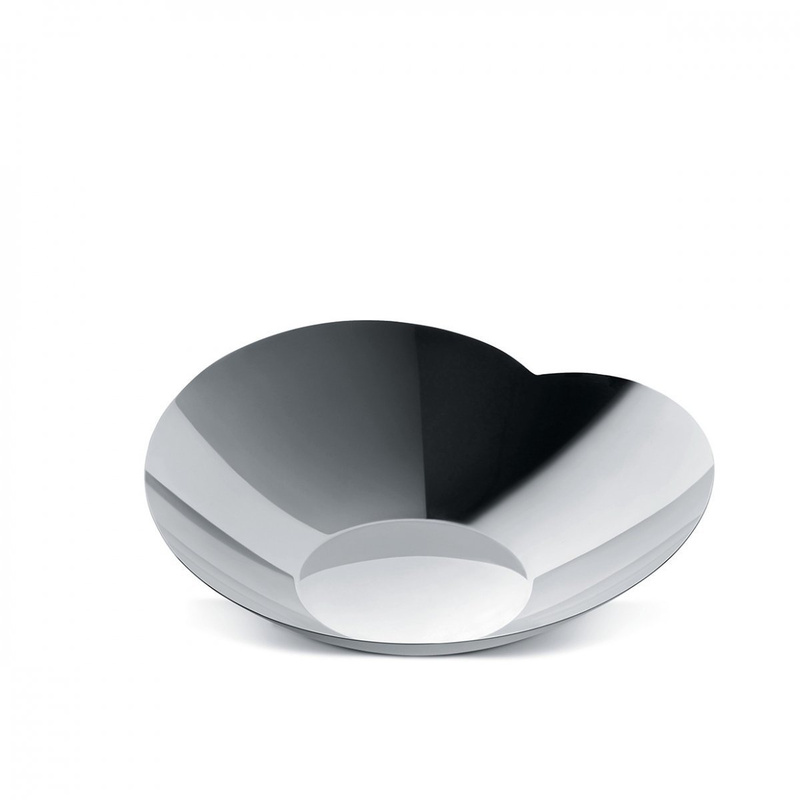 This product is made entirely of high-grade 18/10 stainless steel, small in size and featuring a shiny silver colour that allows the positioning of the bowl wherever you like it best. 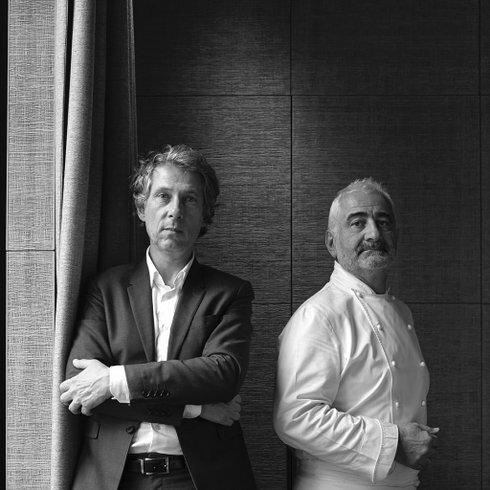 This product arises from the genius and creativity of the French designer Bruno Moretti and the star chef Guy Savoy. 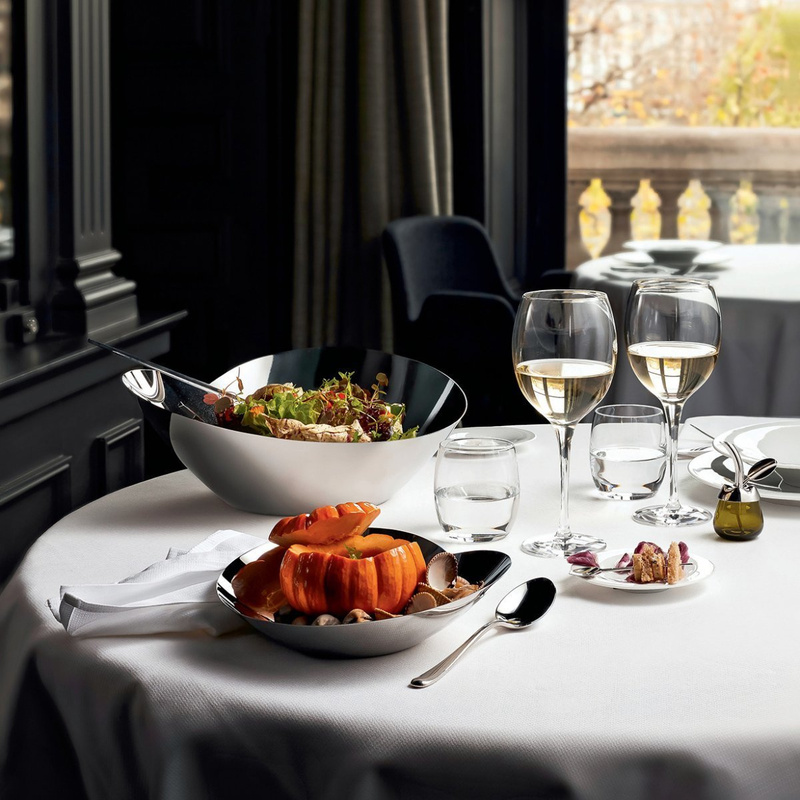 This collaboration was born from the same love towards simplicity, refinement and harmony created between the materials and the presentation of the dishes. The Human Collection salad bowl is like an equation that reproduces the shape an open leaf, inside which you can put both solid and liquid food without risking them losing their consistency. This element can be seen as a continuity between kitchen and living room, where it blends in without creating stylistic discontinuity. Alessi's salad bowl is also an original idea for a gift.This product is dishwasher safe.